Request more information about our online degrees or apply online today! 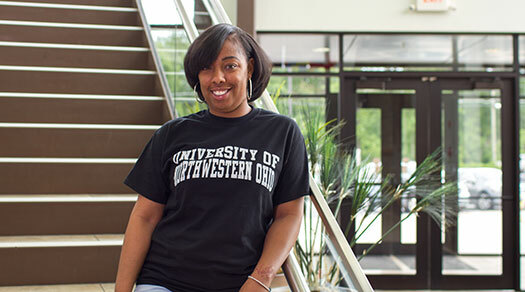 The University of Northwestern Ohio offers online degree programs such as Master of Business Administration, Bachelor of Science, Associate Degrees in Applied Business, and Diplomas. These programs are designed for students who cannot regularly attend traditional classes. Must obtain a proctor for testing purposes or purchase a Remote Proctor from the UNOH Bookstore, Barnes & Noble @ UNOH. Due to the challenging nature of the learning environment, an accumulative g.p.a. of 3.0 is recommended for students interested in taking online courses. The Academic Affairs section of the catalog has more information about the rigorous nature of online learning. 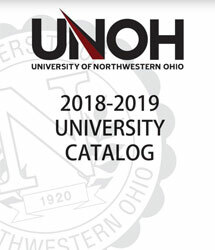 Please visit the UNOH support site for a list of requirements. The University of Northwestern Ohio offers online degree options to give students the opportunity to earn their degrees by taking courses via the World Wide Web. Students who have a personal computer with Internet access can send and receive course materials and communicate with instructors as well as other students. Interested, qualified students should contact the University at info@unoh.edu.